Long before there were aerial ladder trucks, there were city service hook and ladder trucks. For many years, long-wheelbase, straight-frame city service hook and ladder trucks were standard offerings in the product catalogs of most fire apparatus manufacturers. The last straight service ladder trucks were built in the mid-1950s. The pump-equipped quad rolled on into the 1960s, before it too was eclipsed by the quintuple combination, or quint. 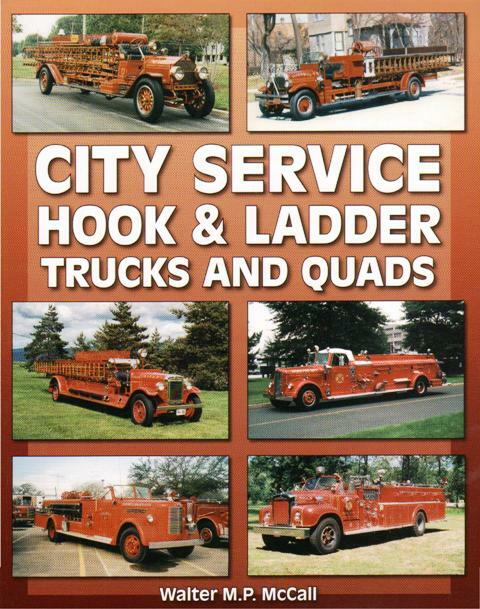 This book is a photographic tribute to these fondly remembered hook and ladder trucks and quads built during the golden age of American motor fire apparatus.